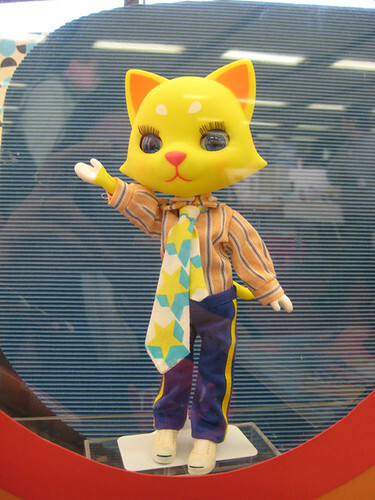 Some of you might be active BJD collectors/fans, and already know about them. 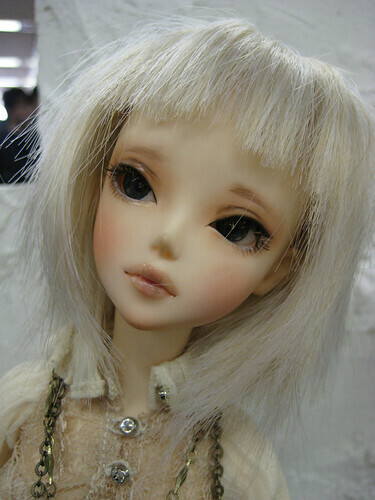 But I don’t have any BJD yet and I’m not aware of all new dolls that appear. 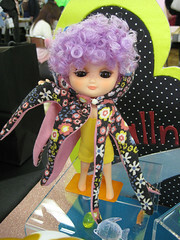 I’ve discovered the Rosette dolls at Silver Butterfly’s booth at the last Dollshow. Aren’t those two girls pure beauties? I was under their spell the moment I saw them. I took tons of pictures and asked the young woman attending the booth what dolls they were. I didn’t remember seeing any like this before. Of course when I came home I had forgotten the name! :s I knew I had to note it down. So began a search through the Internet to find them again. 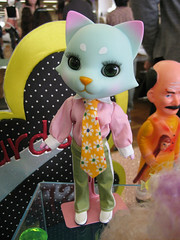 I discovered that the booth was shared between Silver Butterfly and CoCoon… and found the dolls on CoCoon’s blog! I learned again there that they are called Rosette and that the owner of the blog had done a custom make-up on them. After a few more searches I then found their official website: Rosette school of dolls (warning: the site doesn’t work well with Mozilla Firefox, I have to use IE). They’re made by Soom, and are supposed to be pupils of an elite school. You can also find them for sale at Soom’s regular online shop. They’ve just released limited dolls for summer with closed or half-closed eyes (I like the regular ones better, but some might prefer those! And for only $30 more it’s not very expensive considering they’re kind of limited). 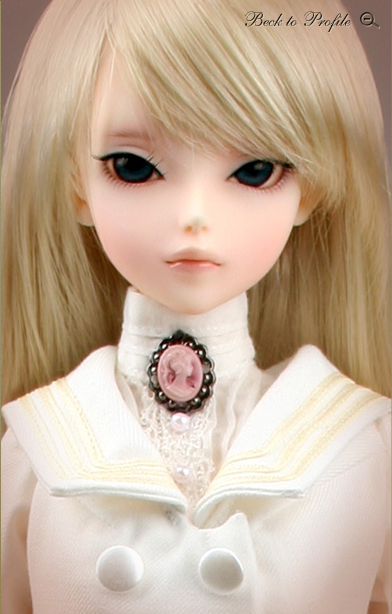 There are currently 5 different dolls: Camellia, Violet, Fir, Marguerite and Armeria. They’re 47.5cm high and can have two kinds of body: girl body or lady body. The only difference is the bust (girl = small breasts, 14.3cm chest circomference ; lady = bigger breasts, 16cm chest circomference). Their head circomference is 17cm/6.5inches and their eye size 12 or 14 mm. You can find the other measurements in the “library” page of the “Rose house” section. You cannot choose the body type yourself, it depends on the girl. Only Marguerite and Fir have the lady body. 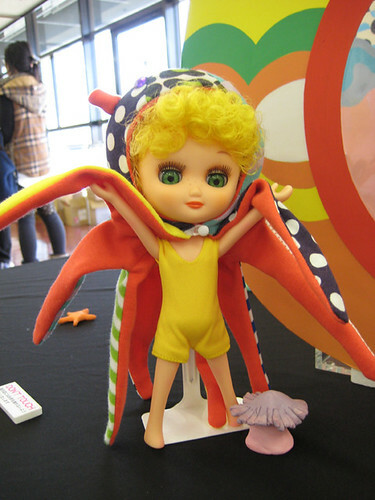 Both customized dolls on Silver Butterfly’s booth are Fir. Above is the official picture of Fir’s standard version. This shows how the make-up is important in a doll’s character, because they seem very different from each others. Fir is my favourite of all the molds. Violet is nice and Camellia is quite cute also, but Fir have a little something that makes her special in my eyes. I so wish I had $423 to spend. ^^; And that I knew how to make-up a doll. I love the custom make up CoCoon gave the dolls, compared to the stock make-up, which is very pretty but classic, it’s wonderful. I know it is part of why they enchanted me like that. The one on the right especially (with not much clothes on). She reminded me of a french comic book series I like a lot, “Sky doll”. Especially the character named Agappe. I’m not sure why now that I look at the pictures, but at the time she gave me the same feeling. It might be the thin body, bare breast and “dreamy” make-up. PS: the funny thing is that the booth was very popular, but not because of those. Just beside they had a set-up with big male BJD, that attracted all the attention. I was the only one there captivated not by the male dolls but by those two beauties. ;p As usual you can find all the pics from this booth on my Flickr, including the hot guys.